XT Servers offers reliable, low cost hosting solutions. Our servers are located in datacenters from Europe and the USA, with access to all major data carriers allover the world offering premium bandwidth and covering customer special needs. 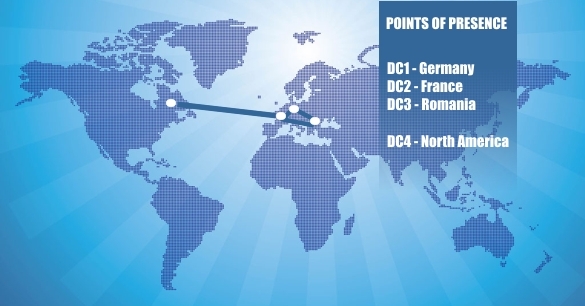 We currently use 4 different datacenters to cover important regions of the world, offering premium bandwidth and low latency services to our customers.